The Rolling Stones will work with promoter AEG Live on their forthcoming North American tour, according to a report by Pollstar. The routing for the Stones’ 18-show arena tour in May and June is still being confirmed but an announcement is expected in early April. AEG Live takes the reins of the long-rumored tour from Virgin Live, a joint venture formed between Australia’s Paul Dainty and Virgin Group’s Richard Branson last fall to produce and promote the band’s 50th anniversary run. 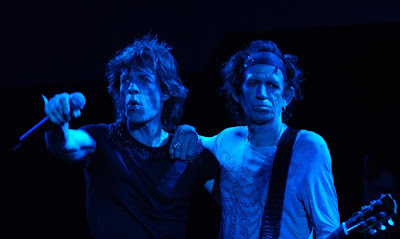 The Stones completed their 50 & Counting tour in New Jersey in December, a trip which saw the band play 5 arena shows (between London, New York and Jersey) and 2 surprise club dates in Paris; the band also performed at the 12-12-12 Sandy Relief concert. Rolling Stones play the blues with John Mayer, Gary Clark Jr.
Rolling Stones to play Coachella 2013? The Rolling Stones rehearsing for Saturday Night Live appearance?